The moderators have decided it's time for a few changes here on the forum. We think several would agree that the forum has sadly moved away from its original intent - to glorify Christ and to encourage and equip one another to serve him. That is in part due to the laxity of the mod team, and we'd like to apologize. Now, we'd like to get it back on track, therefore - the forum will be closed the week of March 29 - April 5 while we work on putting together some guidelines and sorting things out again. We hope that when everything is said and done, the forum will be once again a place of love, service, and peace. During the week the forum is closed, we encourage you to think and pray about the role of the forum in your life as well as the part you contribute to the forum. What can you do to create the right atmosphere here? 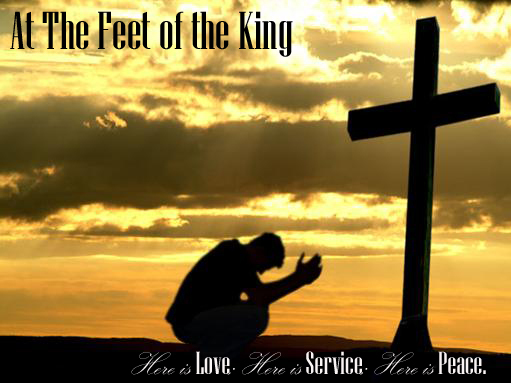 Think about what it means to be living at the King's feet, serving him and one another. Also, if you have any suggestions, PM them to the Admin or any of the mods and they will be considered. Due to the Easter weekend, we haven't been able to get everything that we wanted finalised. You'll see that we've done a general clean-up of the forum - we've merged some of the sections so that we don't have bits and pieces all over the place. Remember, if you have any suggestions for the forum, PM a mod (EnglishRose, Heidi, Linz, Katy, Larissa) or the Admin account.